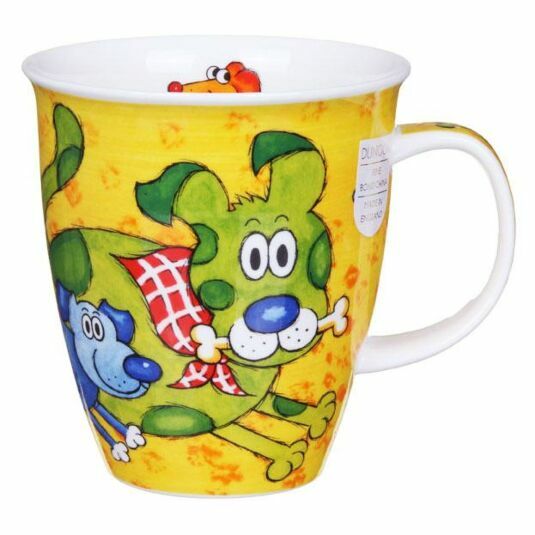 Jane Brookshaw’s cartoon animals are always popular, and feature in the Dogs & Puppies range from Dunoon. Depicted in a humorous cartoon style with crazy eyes and brightly coloured bodies they never fail to make you smile! 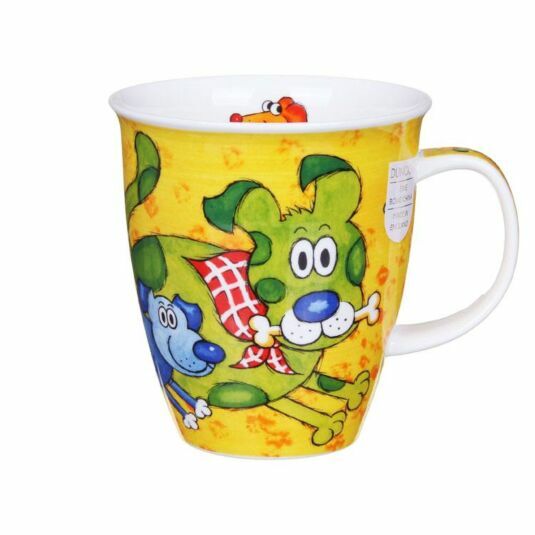 This mug features a hilarious green dog, racing along with her blue puppy beside her on a bright yellow background.